Hand crafted at the 47th parallel. This rum is distilled from organic panela sourced from a small family farm in Colombia. Rum 47 is single distilled through our Jamaican style pot still, designed to capture the rich flavor of the panela. This is a heavy white rum, full of flavor and character. It makes a perfect classic daiquiri or mojito. Hand crafted at the 47th parallel. This rum is also distilled from organic panela sourced from a small family farm in Colombia. 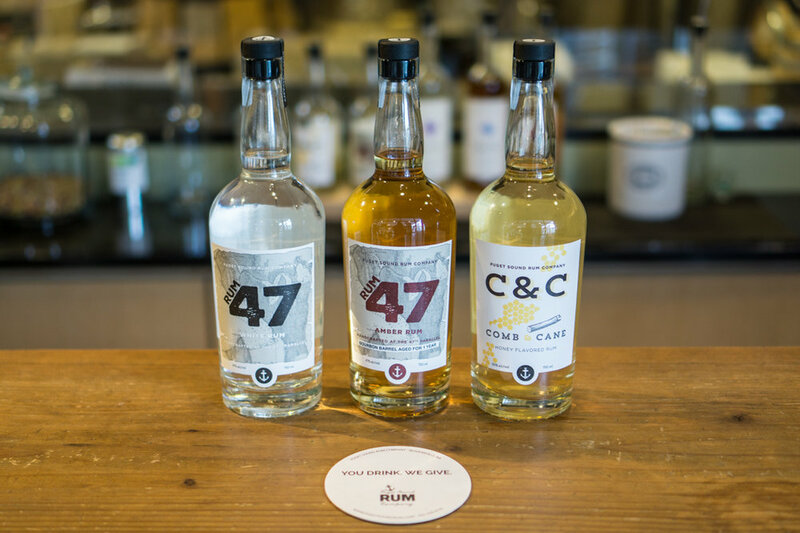 Rum 47 is single distilled through our Jamaican style pot still, designed to capture the rich flavor of the panela. We take a different cut of rum and blend it back in with our White Rum 47 before aging in used bourbon barrels for at least 1 year. The rum has a beautiful amber color and notes of oak, caramel and vanilla. Sip it with a cigar, or make it into a rum old-fashioned. 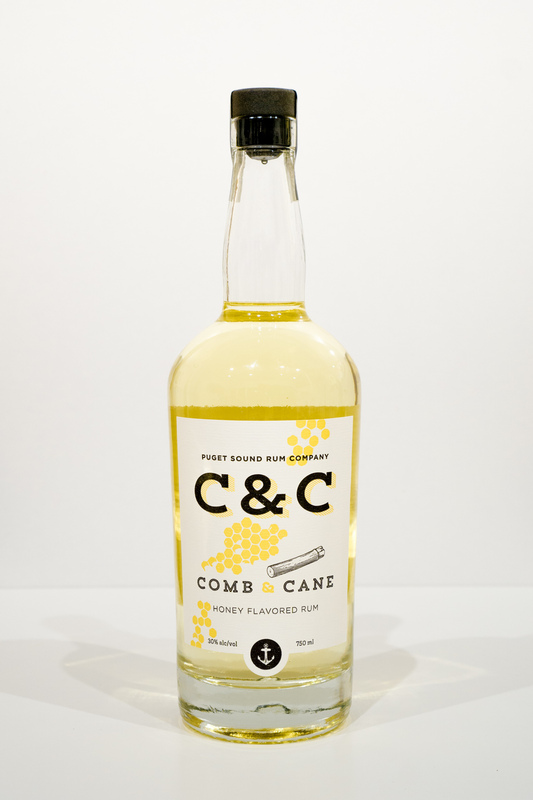 Our C&C Honey Rum is modeled after the sweet Ron Miel liqueurs of the Canary Islands. Our version, however, is a little less sweet and a little higher proof. We take our white rum from the still and add Pacific Northwest Honey to create a delicious and sophisticated flavored rum, perfect for sipping. Sugar Cane and Honey Comb, a perfect pairing. WE MAKE MORE THAN JUST RUM! We have a line of non-rum products that we release under the Four Leaf Spirits brand. Go check out the Four Leaf Spirits page to learn more!